Time's just about up for the <listen> theme and I confess I haven't found the time to go as deep as I had hoped for this one and I still have to put up the next theme. I could have left it for our traditional <leftovers> theme after Thanksgiving, but .. no. So, I'll take a page from the early days of SMM when many posts weren't much more than: "Here's one for you." There are famous quotes that say "you hear but you do not listen." There are others that say "You listen but you do not hear." Is this any different from the dichotomy between seeing and looking? I guess it is fair to include a song that includes "hear" but not the listen of the current theme. Heck ... any song that includes Bonnie Raitt is OK any time. This one sounds a bit like Paul Simon from Graceland. Hear Me Lord from Raitt's 2002 album Silver Linings was written by Oliver Mtukudzi of Zimbabwe and you could do worse than to head off down that path for a listen or two. It may have been Beck-Ola that turned me on to Jeff Beck but I can't really single out a particular piece from the album that has stuck with me. On the other hand, my copy of the 1975 Blow By Blow 33RPM album probably had worn out grooves from being played so much. It's no longer in my possession to check. <Stop Look and Listen> from the "Flash" album almost a decade after Blow By Blow wouldn't be in my list of Jeff Beck favorites. The song just happens to fit our theme and Beck hasn't had much written about him here. I actually saw him in concert ... must have been about '72, in Philly. Listening to Beck again after a few years, I am struck by how eclectic he is: there are elements of all sorts of musical styles. Beck has paid his dues: one of the Yardbirds, almost one of Led Zeppelin, known by all in the field, played with ... you name him/her. ConsequenceOfSound has a raw review of his latest =- after a 6 year absence. You might enjoy checking it out. I did. The album from whence Stop, Look and Listen comes (Flash, from 1985) is noted as a time when Rod Stewart re-united with the Jeff Beck group. (Come again? Rod Stewart and the Jeff Beck Group? Guess I didn't know that!) The <Flash> album itself has various other curiosities on it: covers of "Wild Thing" and "People Get Ready" Beck himself [apparently] didn't particularly care for the album, but it did pretty well on the charts. Dar Williams is about 6 years younger than me, and grew up about 12 miles as the crow flies from me (or about 25 miles driving, on a route that takes you virtually past where I am writing this). Which is a long way of saying that we both lived in the New York area, at roughly the same time. Meaning that we had pretty much the same choices of radio stations to listen to, growing up. I’ve written ad nauseam about how I became a music fan, and how important for me it was to listen to the radio as a teenager—mostly WNEW-FM—until I headed off to college and WPRB. That was how you learned about music then, for the most part, and where the DJs were people like you who really cared about the minutiae, about the trivia, about the connections, about good segues, about the music. And also, in those days, the DJs, and musicians, were not reticent about talking about politics and other issues, because the radio stations weren’t run and programmed by some conglomerate devoted to creating a uniform, sellable product that sounded the same wherever you happened to be. So, when I heard this Dar Williams song, about the importance that listening to the radio had to her, it clearly resonated with me. In preparing to write this piece, I found a bunch of live videos of Dar performing this song, often with her introductions included. She sometimes talks generally about the power of radio to introduce listeners to music, and always mentions that the song was inspired by her listening, in her teenage years, to WBAI, a radical, left wing station probably best known for having played George Carlin’s Filthy Words routine in 1973, which resulted in an iconic Supreme Court case that defined the government’s ability to regulate obscene and indecent material on the airwaves. Williams talks about how the station’s discussion of all sorts of conspiracy theories made her think, and the music opened her mind. In addition, there are references in the song to WRSI, 93.9 “The River,” a station in Northampton, Massachusetts, where she was living when she wrote the song (and which is also, I must add, the home of Smith College, the alma mater of my wife and daughter, where I was last week to attend the groundbreaking for the school’s library renovation). For me, WBAI was something that I respected, but never listened to—too much talking, not enough music for me, but the song is really universal, at least for those of us who grew up obsessed with radio (and are still obsessed). I’ve long been a fan of Williams as both a songwriter and singer—she was probably one of the first artists that WFUV got me hooked on, her appearance at the Clearwater Festival in the 90s was the main lure for my family to attend our first one, and her song, “When I Was A Boy,” was a family favorite, reminding us of our daughter as a child, around the time the song was released. Dar, and Lucy Kaplansky and Richard Shindell, joined together in Cry, Cry, Cry a few years back, but after one album and some touring, they went their separate ways, for the most part, reuniting last summer at Clearwater for a fun, if sloppy and under rehearsed set. They are back now on the road for a mini-tour, which will be stopping in Tarrytown this weekend, and my wife and I will be there, despite having to fight our way through the Halloween parade and block party right by the Music Hall. 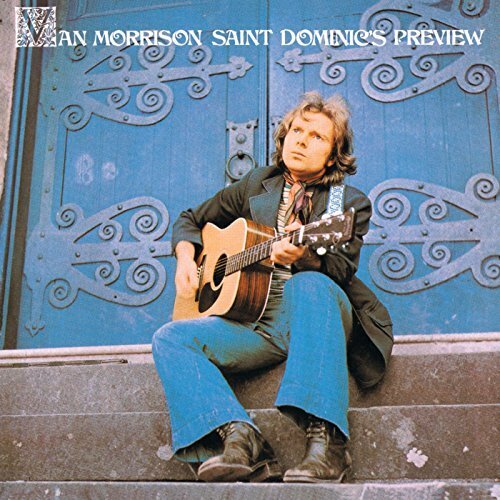 Van Morrison's "Listen to the Lion" is an 11 minute epic, a magisterial hymn. Orchestral, blooming with strings, a shower of cymbal and piano trills and delicately teetering guitars that flash like lightning over the seesaw vocal line, where words and utterances of grunts, guttural inflections and non-verbal cadences and tones--so much more than "ohs" and "ahs"--sound equally poetic. No one but Van Morrison could deliver a song like "Listen to the Lion." For all that I said above, hallmarks of Van's music from the 60s and 70s, plus the poetic vibe of a transcendental troubadour delivering soulful, heartfelt reflections on one's place in the mystic lacework of the universe, there is something special, yet utterly intangible, about his music. "Listen to the Lion" shouldn't really work--it has none of the snap jazz kick of say "Moon Dance" or the dirty swagger of Them's "Gloria" or "Here Comes the Night". But, like much of what he did on that incredible string of 1968's Astral Weeks to 1973's Hard Nose the Highway, the music doesn't so much defy as transcend classification. There's pop, soul, jazz, folk--a veritable jukebox of genre and sounds. (Van Morrison was--is--if nothing else, a master of soul.) Yet, to me, there was always something indefinable in Van Morrison's music. How did he create such off-center harmonies, singing with a vocal delivery like the rise and fall of a mad hatter on the run? 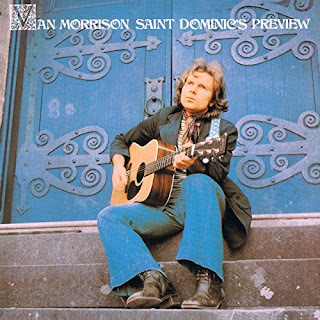 Van Morrison's music, from a certain period, is like the amalgamation of everything good about music, perhaps what God would have envisioned when He invented the idea of music. Everything is there: a fleet of musicians playing an array of instruments that only rarely make it on to a rock record. The vocalizations are incantation, repetitive like a grand soul singer, and he always manages to cast a spell with that stuttered, off-track floating delivery. He rises from despair to joyousness, carrying emotion on a wing in the air, and while a phenomenal writer, he needs little more than a few repeated phrases to create a poetic image rich in tone and as colorful as a painted masterpiece. The brilliance in "Listen to the Lion" is in it's breathlessness. A hushed masterpiece; an epic ballad of an imagined diaspora, a payer to a higher being, calling the soul to a journey that has no true destination. An evocation of something spiritual and beautiful that is unnamable. An invocation of the animal soul inside us, growling to be released. "Listen to the Lion" is visceral, beautiful, a prayer sung rather than spoken. Proof of a thesis I didn't know even existed: That vocals are far more important than words.